2018 UNITY Midyear Conference – UNITY, Inc. Registration is now open for the 2018 UNITY Midyear Conference set to take place January 2 – 5, 2018 at Tempe Mission Palms Hotel & Conference Center in Tempe, Arizona. ONE DAY RATES NOW AVAILABLE! Two one-day rate options are available. For one day of training on Tuesday, January 2, or Wednesday, January 3, the rate is $65.00. For one day of training on Thursday, January 4, the rate is $75 (includes lunch). The one-day registration rate may not be exchanged for participants who are already registered for the full conference. More than 400 attendees are expected for the annual gathering that promotes a program focused on youth leadership development, training for youth leader advisors, networking, and cultural exchange. Additionally, youth leaders will provide feedback to help shape content for the 2018 annual national conference. A representative will take calls and check messages/return calls Monday – Friday 8:00 am -4:30 pm Central Time excluding Holidays. Book your room now! RATE EXPIRES ON DECEMBER 8th! 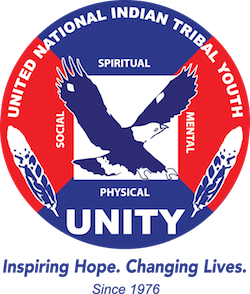 Or call (480) 894-1400 and mention United National Indian Tribal Youth.